The LG G7+ will be launching tomorrow at 6-8pm at Zouk. 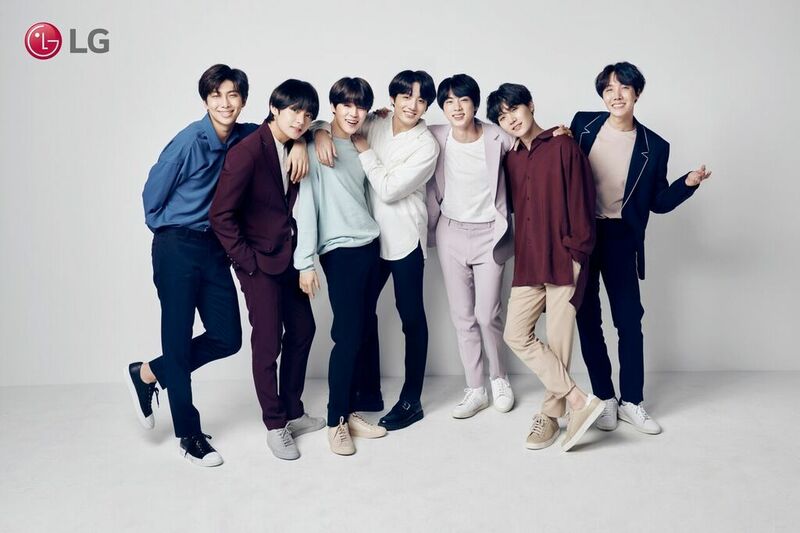 This is a special preview event just for the public and the first 50 attendees will each receive a limited-edition mystery BTS premium. 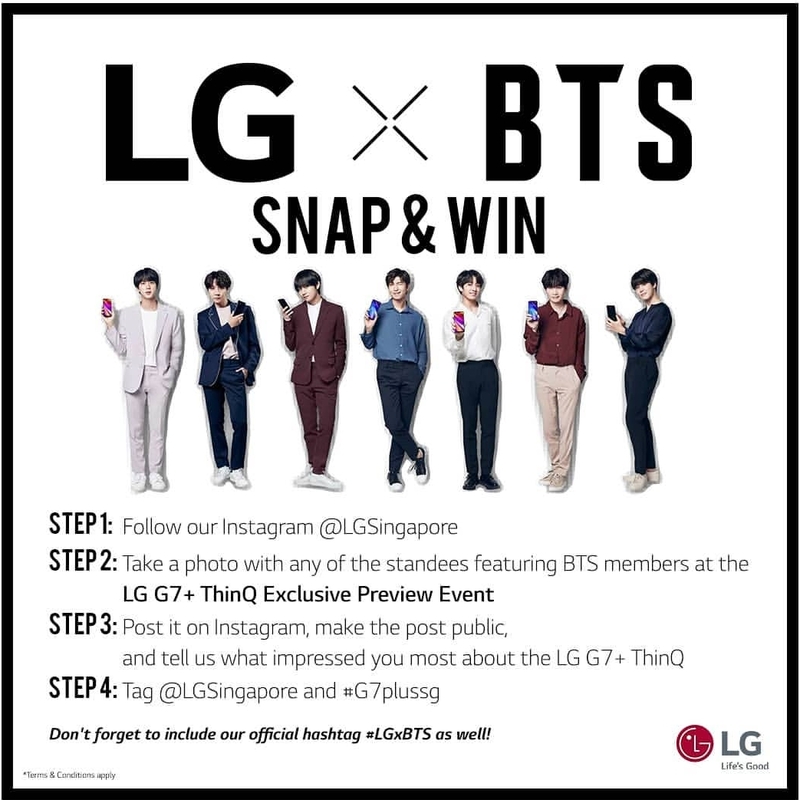 Other than that, you can also take part in an Instagram contest during the event and 3 luckywinners will each walk away with $100 shopping vouchers. 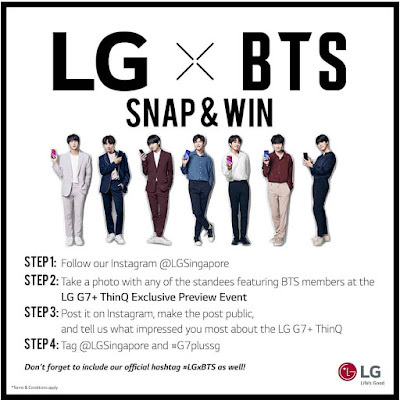 First 50 to attend the G7+ ThinQ Preview will receive a LG X BTS special premium. Three lucky winners stand a chance to win $100 in shopping vouchers each. See you there tomorrow at Zouk!